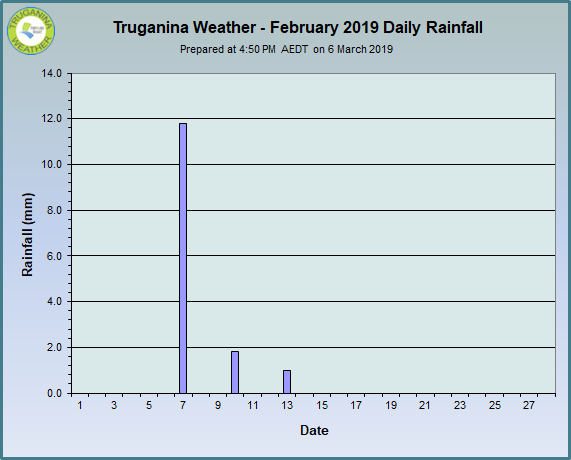 The total monthly rainfall was 14.6 mm. 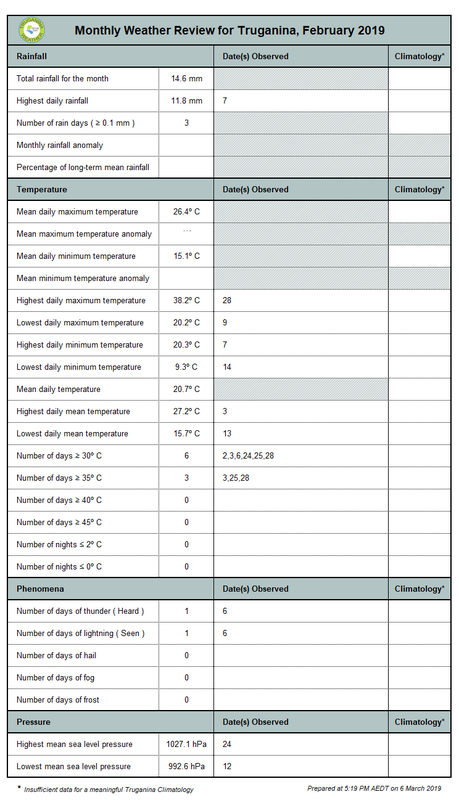 The long-term February mean for the nearby ABOM AWS at Laverton is 46.0 mm. 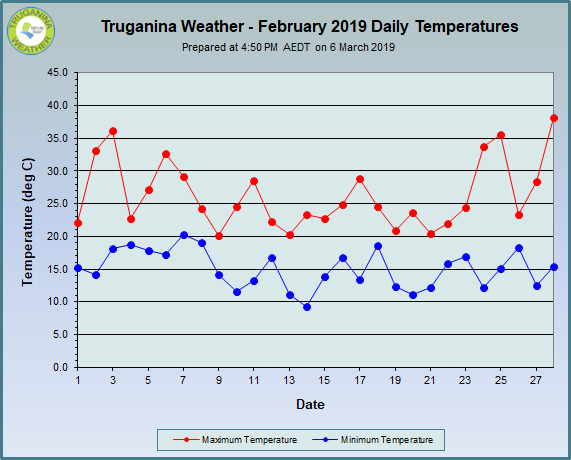 The mean daily maximum temperature was 26.4° C. The long-term February mean for the nearby ABOM AWS at Laverton is 25.6° C.
The mean daily minimum temperature was 15.1° C. The long-term February mean for the nearby ABOM AWS at Laverton is 14.3° C.